NetLink is a leading business technology consulting and managed IT service provider. We design and build meaningful IT and Internet solutions for small and mid-sized businesses in Tulsa and surrounding areas. Focusing on elevating the client’s use of business information technology, NetLink provides managed IT services, IT outsourcing services, IT consulting and CIO services. Believing that one size does not fit all, NetLink works with its clients in many industries to discover their business IT needs, and align IT with their strategies. 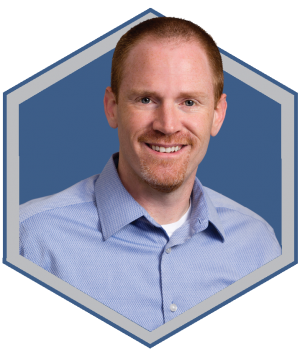 As a successful small business owner, Bret knows the value of technology in maximizing the productivity of resources, and understands his success is directly related to adding value for his clients and contributing to their success. Bret began his IT career in the trenches, providing technical support and acquiring technical certifications. He started building an IT service business 10 years ago, leveraging his technical skills and credentials with a small staff, focused on providing excellent service and delivering service as promised. The business grew, acquiring many awards for rapid growth and outstanding service along the way. Bret continues to provide technical strength to the operations in addition to managing all the aspects of a successful business in an ever-changing environment.